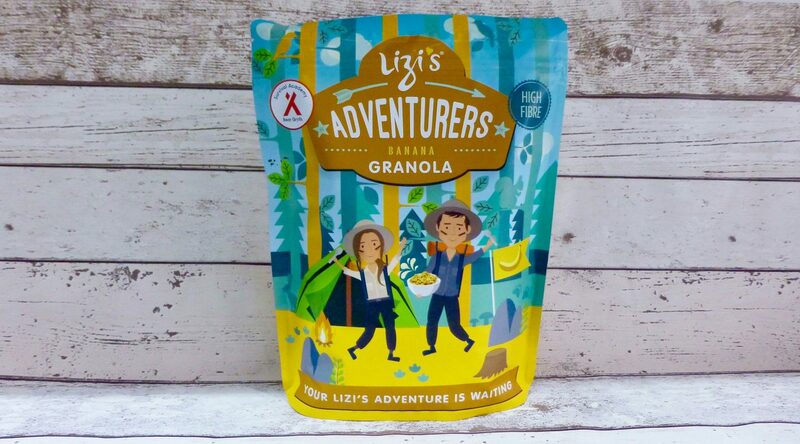 As you can most likely tell from the packaging Lizi’s Adventurers Banana Granola is aimed at kids. The packaging is funky, vibrant and will of course grab your attention when scanning the cereal aisles. Setting aside the fact this is aimed at kiddies aged 5-13 years old, I was all over it when I saw it was Banana Granola. Lizi’s has partnered with Bear Grylls Survival Academy, which is an academy offering dynamic self-rescue survival courses run by highly trained experts. Together they are promoting and engaging youngsters to eat a good breakfast and getting outside and active. To be fair I think this is apt advice to everyone. Banana isn’t an overused flavour so I imagine this is why I get quite excited when I see it, sad I know. I have never tried Lizi’s granola before, I have heard good things but personally the price puts me off. Alongside a Strawberry version, I found this 400g bag in Asda. The RRP is £3.69 yet is currently on offer for £1.99. Suitable for vegetarians and vegans, this granola is GMO free and there are no artificial colours, flavours or preservatives. Banana flavour toasted clusters of oat, cereal crisps, ground almonds and coconut. Per 30g: 135 kcal, 1.2g sat fat, 3.5g sugar, 2.5g protein. The banana flavouring is pretty good and has a naturalness to it, there isn’t a foam banana flavour in sight. Normally I am apprehensive of cocounut being used in granola as I find it can be overpowering. That being said I actually really liked it in this granola, it poked it’s head every now and again but still let the banana be the star of the show, and overall gave it a more tropical feel. The clusters vary in size which gives variety. 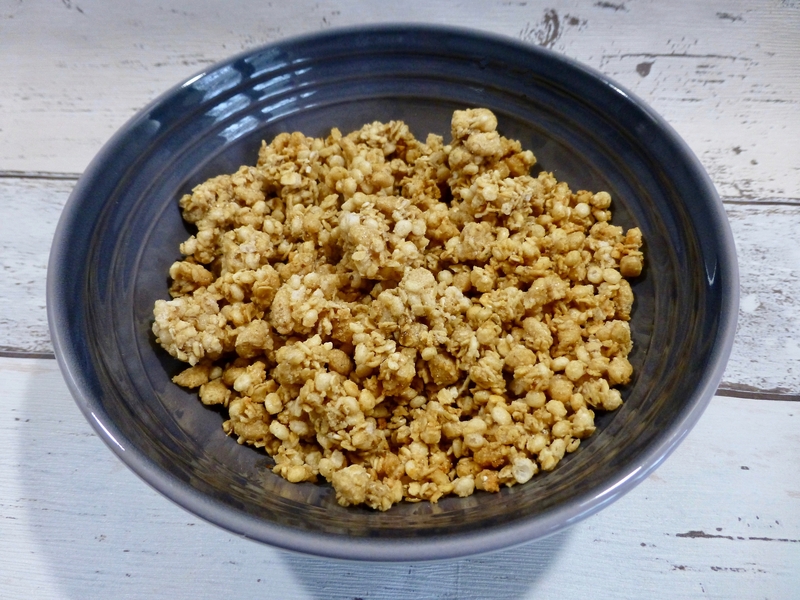 The texture of the granola is a little off for me, I prefer it to be more on the oaty side, like Dorset Cereals Granola, however here it is predominately puffed crunchy rice, which I think is more for the benefit of the kids. On the whole Lizi’s Adventurers Banana Granola is delicious. I highly enjoyed the flavour and I think it will appeal to it’s target audience. I would buy this again and have already started mixing this with other granola to fulfil my need for more of an oaty fix. Do you have a favourite granola or cereal? Let me know, I need some more breakfast inspiration.